Finding an assisted living facility in Rochester, NY can be stressful. However, you don't have to break the bank to find a facility near where you live. By understanding the general costs and looking at specific senior assisted living facilities costs in Rochester, you can find the perfect facility for your budget and lifestyle. While costs vary per facility, expect to pay something in the vicinity of $3,000 to $6,000 per month for assisted living care in Rochester, NY and in other parts of the United States. Although this may seem like a lot of money, compare it to the cost of nursing home care, which averages between $6,000 and $10,000 per month. Assisted living is certainly expensive, but for those who need help in daily living, it can be an ideal solution. In the state of New York, the average cost of assisted living was $4,100 per month in 2015. Assisted living costs are determined by the size of the care facility, the real estate costs in the neighborhood, the ratio of skilled employees to residents, and the size and quality of the rooms and furnishings themselves. 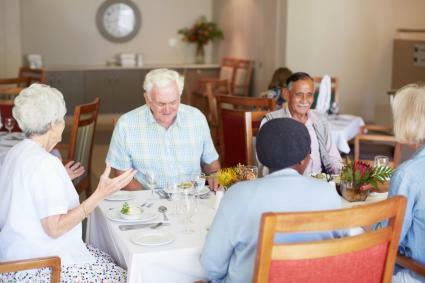 Finding cheaper assisted living facilities is often a goal, but be sure to check all the details surrounding care before choosing for a place that is the cheapest one in the region. First, check that the facility meets all standards for patient care, staffing, and hygiene. In addition, make sure everything you think is included in the price is actually included; a facility that is $100 cheaper a month, but that does not include water, electric, and heat bills, is not going to end up being any less expensive. Utility bills including heat, electricity, water, sewage disposal, etc. In addition to these services, some companies offer laundry services, cleaning services, and delivery of groceries. Because there is considerable variation in the elements offered under the phrase "assisted living," it is important to ask at each organization for a specific list of included services in the price of care. Cheaper alternatives to assisted living include inviting a home health aid into your home a few times a week as well as a personal assistant for cleaning and errands. Having a health professional come to your home in the state of New York averages $25 an hour, and a personal assistant costs about $22 an hour. With five hours of medical care a week, and 10 hours of cleaning and errands, you would spend about $345 a week or about $1,500 per month. Before deciding on the type of care, do a thorough assessment for in-home care to determine if this is an appropriate option, or if assisted living is necessary. Atria Greece on Towngate Road in Rochester averages about $3,300/month depending on services selected. Grande'Ville (Maiden Lane in Rochester) ranges from $2,500 to $5,000/month. Rochester Presbyterian Home (Thurston Road, Rochester) starts at $2,980/month. Contact other facilities in the area to learn more about pricing options. You can find a complete listing of adult care facilities in Monroe County, where Rochester is located, on the website for the New York State Department of Health. Cost is an important driving factor in choosing senior care. Because the costs can vary so widely, prices are an important decision-making factor. However, while you find the cost of assisted living in Rochester, NY estimates, remember to take into consideration the location of the facility, the services offered, and the overall atmosphere of the assisted living home, both inside the buildings and in the surrounding neighborhood. Visit several facilities and get detailed cost summaries of each one before committing to any place that you or a loved one is going to call home for the coming years.